A vibrant display of ceremony and military history, Trooping the Colour, also known as The Queen's Birthday Parade, marks the second of the Queen's two birthdays (this is the official one, her actual birthday is on 21st April). It's a spectacular piece of pageantry but also a reminder of the role of the armed forces who are - in theory, at least - under the Queen's control. Hundreds of well-disciplined soldiers in full dress uniform march past at the Horse Guards Parade, and a different Battalion gives the Royal Salute each year, all accompanied by stirring military music from the massed bands. On the same day, a 41-Gun Royal Salute takes place in Green Park at 12.52pm and there's a 62-Gun salute at the Tower Of London at 1pm. But if you want to avoid the crush at the Mall, you can see the Horse Guards practicing for the grand parade at two smaller rehearsals in the days leading up to the grand event - namely the Major General's Review on the Saturday before and the Colonel's Review on the Saturday two weeks before the Trooping of the Colour. TICKETS: The Ballot for tickets for seated stands around Horse Guards Parade opens in January and closes in February. Applications should be made in writing, during January and February only, enclosing a stamped self-addressed envelope to: Brigade Major, HQ Household Division, Horse Guards, Whitehall, London SW1A 2AX. 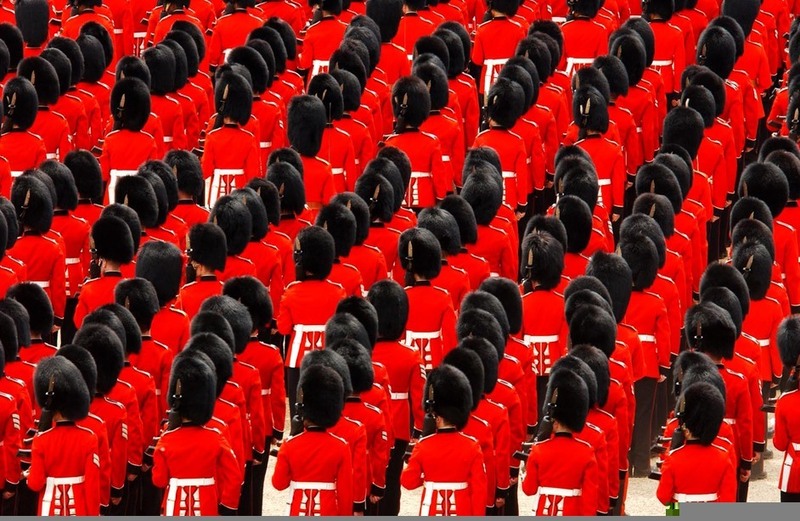 What are the best dining options near Trooping the Colour London? Trooping the Colour gyms, sporting activities, health & beauty and fitness. The best pubs near London Trooping the Colour. Trooping the Colour clubs, bars, cabaret nights, casinos and interesting nightlife. Where to have your meeting, conference, exhibition, private dining or training course near Trooping the Colour. From cheap budget accommodation to luxury 5 star hotels see our discounts for Horse Guards Parade hotels, including The Trafalgar St. James London, Curio Collection by Hilton from 81% off.